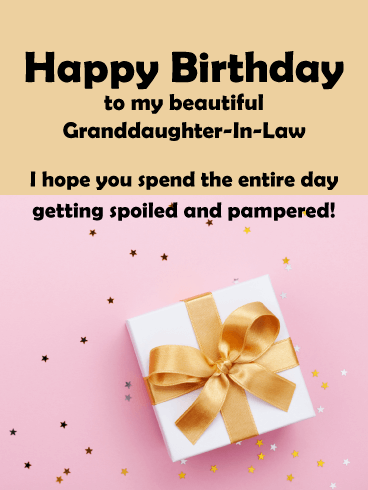 Is your granddaughter-in-law simply just the cutest? 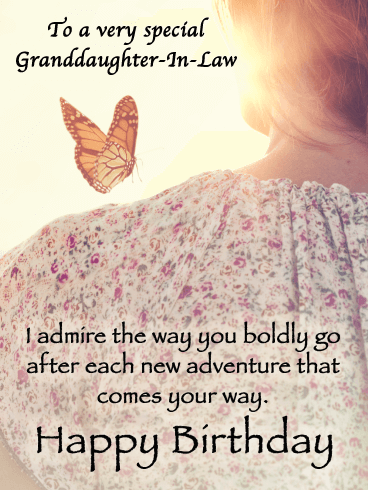 You might even be pressed to say unbearably so! 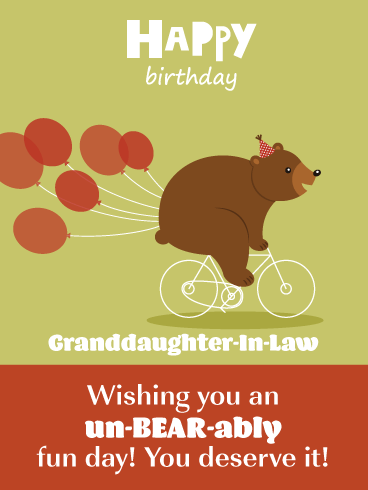 Send that supreme cutie pie the Unbearable Fun Funny Birthday Card featuring an adorable bear in a little party hat riding a bicycle with a bunch of balloons trailing behind! 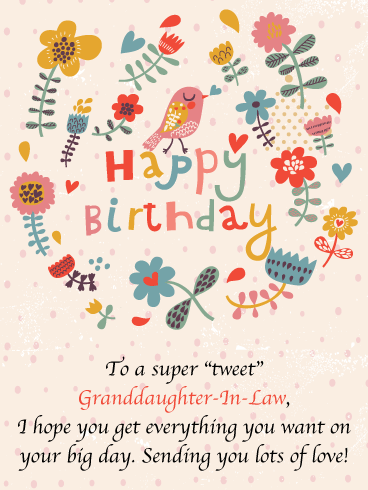 We think she's sure to get a giggle out of this silly and sweet card! 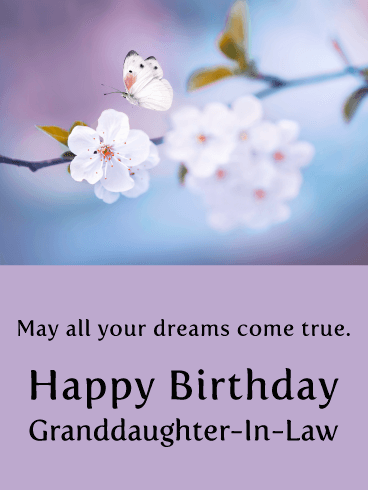 Send heartfelt wishes for your lovely granddaughter-in-law to have a very happy birthday with the Bright Future Card. 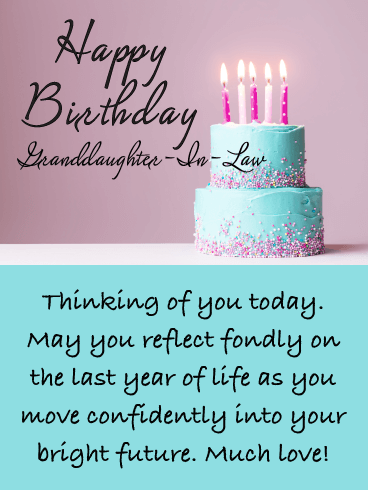 Adorned with a delicious two-tiered layer cake, frosted with blue, and studded with beautiful sprinkles. 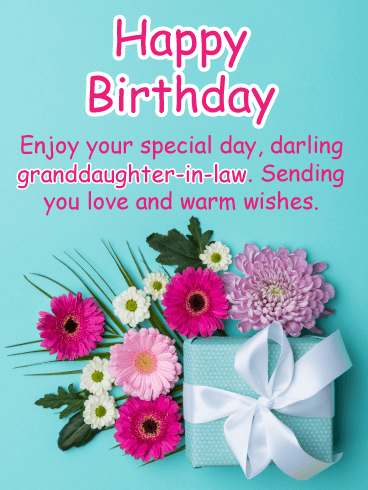 This card lets her know you’re thinking of her today and wishing her well while urging her to reflect fondly on all the things she’s accomplished in the last year! 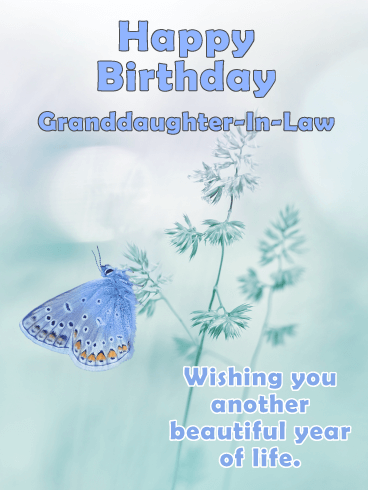 Do you require a tasteful birthday card fit for a classy sort of granddaughter-in-law? 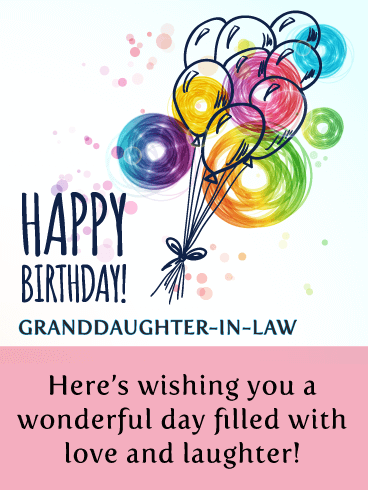 Send the Shiny Balloons Happy Birthday Card to your young relative to wish her happiness and joy on her special day. 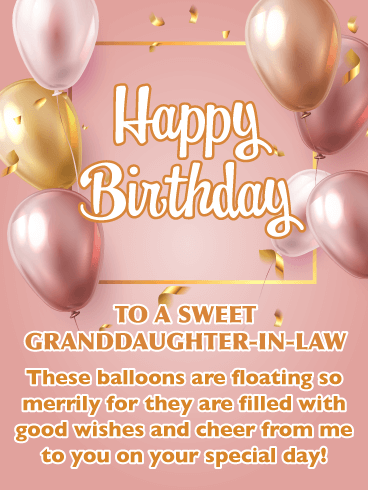 The metallic balloons float merrily above the sweet message, on the cheerful pink background, reassuring your granddaughter-in-law of all the good wishes you’re sending her way.